We’ve all heard of the importance of writing fresh content for your site but what about changing the website color to give your website a fresh look and feel. You only need two to three colors to make the difference between a mediocre website and a website that looks stunning! So using colors correctly is a must if you want your website to stand out. How to choose which colors to use for your website sometimes can be difficult. You need a tool that gives you the best color contrast and that you can change to another look and feel at the click of a button. Exai’s website builder takes a new approach to use colors on your website. Using Exai, you can choose perfect color contrast and change it using an interactive color wheel. This tool takes the guesswork out of trying to find what color works best for your site and it also provides a more efficient way of applying a new color contrast. Using complementary colors like red and green can go a long way in helping to attract users’ attention. In a study on color compatibility, the University of Toronto describes how to improve an existing color scheme, and makes suggestions around color preferences. They found that most people generally prefer blues and purples and pairing green with blue or yellow. Trying to pair the right colors and knowing what to look for while designing your website can be difficult. Having color tools embedded in a website builder to help you instantly make the right decisions on what to choose can be a big help! Exai has recently included an easy to use color tool to help anyone choose the right contrast for their site. Exai’s platform that includes using color algorithms along with a color wheel opens up a new window to users who want an advanced solution and one that is easy to use. 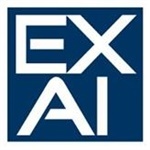 With Exai there is no software to install, no developer needed and no code to write. It uses simple Drag & Drop functionality that's intuitive and easy to use! and join the revolution helping thousands of Small and Medium Business create their own websites.